The Hampden-Sydney Cycling Club is getting a big infusion of support thanks to an intrepid group of freshmen and an alumnus. The Hampden-Sydney Cycling Club is getting a big infusion of support thanks to an intrepid group of freshmen and an alumnus. David Fluharty '20, an avid mountain biker, says he and road biker George Tryfiates '20 approached Dean Robert Sabbatini in the fall about jump starting the club. Sabbatini responded by asking them to take the lead on a bike rental program for the Office of Student Affairs. As if by serendipity, Whit Brooks '02, owner of Whitworth Cycles in Richmond, contacted Sabbatini shortly thereafter about helping with a bike program on campus. Tryfiates and Nathan McVey '20 have competed on a road course this year and are excited to be getting official jerseys later this semester. Mountain biker Fluharty is excited to lead a clean up of the College's 2.5 mile multi-use Wilson Trail. They are planning on hosting a National Collegiate Cycling Association race on campus next year. 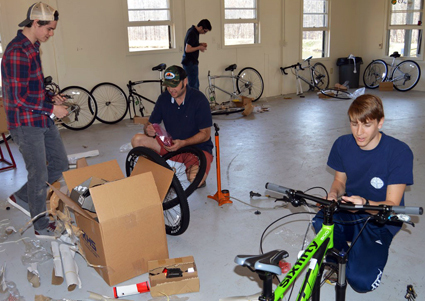 Brooks helped the college select and assemble the bikes for the new program and to find sponsors for the cycling team. "Cycling was a big part of my experience at Hampden-Sydney. Back then, guys would come down to Tadpole Hole on Friday afternoons and we'd tune up or repair their bikes. It was such a chill, welcoming atmosphere, and I want to do whatever I can to help these students create a similar experience for themselves." Sabbatini hopes this new bike program will stabilize the College's on-again off-again relationship with cycling. Once the program is up and running, students will be able to check out road bikes, mountain bikes, or cruisers for a day or a weekend. 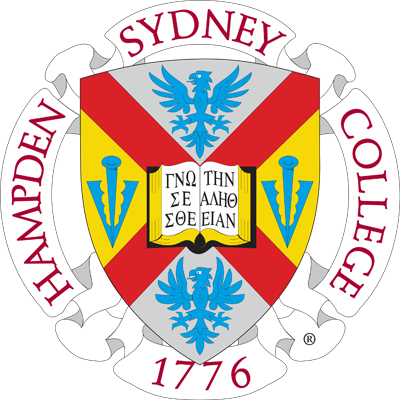 Lowering the point of entry on this activity will give more students the opportunity to enjoy Hampden-Sydney's vast campus and possibly compete in a future cycling race.